I KNOW that you get thank yous frequently from your customers, so count me among the many who have been blessed to have your guidance during a home inspection. You are a most rare individual. You not only did the job for which you were retained, but you became a counselor and teacher, as well as a future resource. I am genuinely impressed by your expertise and your kindness. You can count on me for future referrals to both sellers and buyers. Thank you again for everything you did and said. This time around, I know I can trust the report. We just wanted to thank you for the detailed report on the home we are selling. The unsafe conditions and code violations you showed us were quite a surprise after living here for 25 years. We corrected the conditions prior to listing the house. Thanks to you, we feel we are providing a much safer and well maintained home to the next buyer. We just got a copy of the home inspection from the buyer. There are only minor corrections needed to complete the sale as expected. You will be inspecting our new home soon. Thank you so much for spending over four hours with my buyers yesterday. Most buyers want to follow the inspector around and ask questions but many inspectors do not allow that. They were also happy you spent the time to explain the options and costs for the structural changes they want to make. Your suggestions will cost far less than they anticipated. The seller has agreed to repair the major items noted in your report. I’m so glad I found you. I will be using you for every transaction from now on. Jon inspected a condo I purchased and I was pleased by the depth of this inspection and personable rapport. He was able to meet me on a Saturday and spent a few hours walking thru the house to check all the features and to answer any of my questions. In addition to a solid inspection, you are able to call Jon for advice on fixes, upgrades, etc. He can tell you how to do some jobs yourself and where to go for the best deals if you need resources. I already took him up on this offer and he was eager to tell me my options and didn't rush the call. He will tell you to always hire a licensed pro who has the experience, expertise, and tools to get the job done right. For my home inspection I'm glad I did. I would recommend Jon to anyone. I've had him inspect two homes for me and on both occasions he spent about four hours doing a very thorough walkthrough. He is very experienced and I learned a lot about my new home by shadowing him as he performed the inspection. Throughout the process he gave advice on necessary repairs and maintenance and told me approx. what I should expect to pay when I have the work done. He is knowledgeable about code requirements and attentive to safety issues and addresses both in his comprehensive written report. I really felt more confident about purchasing my home knowing that he had checked it out and not found any major problems. Jon is highly responsive, returns calls quickly, and even stepped me through solving an emergency plumbing problem over the phone. In the short time since I purchased my home, he has already helped and advised me with numerous repairs, and has done so willingly. Jon is a great resource - someone smart that I can trust to provide honest, helpful advice about my home. This is the best $350 I have ever spent for a townhouse inspection. Jon is the best possible choice for the first time owner or someone who wants to learn more about how to make sure they are not getting ripped off when home repairs are needed. Beyond doing a thorough inspection and written report, Jon takes the time to be available when problems or upgrades are needed. He saved me a lot of money by coming out to examine my plumbing leak and with his expertise solved the issue himself. If you want a guardian angel looking over your house or condo, Jon is the man! This was a singularly terrific experience. Jon came to a townhouse that I am purchasing and did a thorough inspection for more than two hours. During the inspection, he patiently answered every question I had, explained things in clear layman's terms for me, and had a sharp eye for small problems that needed to be fixed. He also was able to deduce why many of the problems arose in the first place based on what we knew about the prior owner. Jon also gave me rough estimates for the cost of repairs and let me know the right type of person to repair them (handyman, plumber, etc). He offers his customers the opportunity to cal him anytime a problem comes up, literally for as long as you own the place - he will point you to the right type of person to do the repairs and will tell you if an estimate you've received is a rip-off. This is my second time in escrow on a place. I used a different inspector for the condo I was in escrow before, and it was a completely different experience. The inspector did not want me walking around with him, did not explain things clearly, and really didn't seem to care that much. My experience with Jon was the polar opposite and I feel much more comfortable going forward with my new purchase because of it! I was impressed by the thoroughness of his inspection and willingness to explain helpful details. As an added bonus, he is willing to help me to talk to contractors regarding needed repairs. In addition to pointing out the major problems (ac, etc. ), he also took the time to explain little things like the meaning of tempered glass and the things I should consider when buying a refrigerator appropriate for my place. To illustrate, he advised that the refrigerator needs to be counter-depth and I should look for one with double doors instead of a single door. Also, I need to check that if one of the refrigerator doors cannot open fully due to the nearby wall, then the door should not block the refrigerator's lower drawers. I appreciated that detail. Well-done inspection. Completely honest and very thorough. Up-to-date on current codes. Wasn't in a rush to complete the inspection. I was allowed to follow him throughout the inspection. He took time to explain what he was doing and what was wrong. He also expressed his opinions on what changes were not necessary (eg. water softener not necessary until after move-in). Informed on estimated cost of repairs. Suggested ways to fix the repair ourselves to save ourselves $25 on 10 minutes of work. I thought it was a little pricey at first ($800 for 5,500 sq. ft.), but the inspection took about 5 hours and I concluded that it was well worth the money. A report was submitted first thing the next morning and was easy to understand. Nothing new was in the report that I hadn't already heard during the inspection. I was lucky in that I saw a previous inspection report for the property I was buying. While the report was very comprehensive, I found it frustrating as it was very conservative (eg, every problem was just "unsafe" or "needs repair"). This gave me no idea of just how unsafe it was (eg, must be repaired straight away vs eventually), the cost to repair it, or whether I could do the repair myself. I found Jon on yelp and the reviews suggested that he would give me what I was looking for. He completely delivered. It was great to walk around the property with him and have things explained, including how bad issues were, how much they would likely cost to repair (just ballpark estimates that I would never hold him to - but better to know if a repair will be around $200 vs $4000), and advice on how I could do the repairs myself or save costs when hiring a contractor. At the end, we had a priority list of the big fixes needed, their approximate cost, and the order they should be done in. Even better was that we also talked about potential additions/changes to the site in the future. Jon gave his advice on the best way to do these additions/changes based on his knowledge of different building options, etc. I found that Jon's inspection was exceptional value for what you get in return. Look no further. Jon is the ideal home inspector. He is extremely knowledgeable, professional, honest, patient and willing to address all of your questions and concerns. He will give you an unbiased professional opinion as well as the foresight to gauge if a contractor may potentially be ripping you off. Jon pays close attention to detail while highlighting larger issues. He informs potential buyers and current home owners of concerns dealing with code, maintenance, safety, hazards and future/probable expenses. I have utilized Jon's services to inspect two properties during my search for my first home as well as have consulted with Jon on subsequent concerns for my current residence. I would highly advise all to consider reaching out to Jon of Valley Home Inspection Service before purchasing a property or embarking on any major home repair. 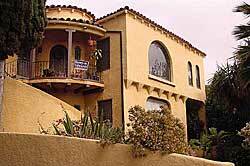 Jon at Valley Home Inspection is knowledgable, professional and personable. I am so pleased that I used his services! First, he did my inspection on the condo that I purchased. As a first time home buyer, I had several questions and he was patient and thorough with his explanations. He told me about ways I could do a quick-fix for problems that needed repairs and gave me some ball parks for what I could expect to pay for certain work. He insisted that if I had any questions about anything after I closed, he would be happy to help. After some problems arose with plumbing the first week I owned my property, I called Jon for his advice. He offered to come over that very night and take a look at the area. He spent an hour discussing the issue with me and it gave me such peace of mind to get the opinion of someone who was NOT profiting from the repairs like the plumber would be. Jon didn't even charge me for the visit. He is an honest guy and I reccomend him 100%. I found Valley Home Inspection, Jon, on another business website where he had a very high rating. I contacted him to get some information about his services and was really impressed when he told me how he approaches an inspection and all of the years of experience. Because purchasing a home is the most expensive item I will ever purchase, I felt really comfortable with his services and his knowledge. During the inspection, Jon encouraged me to follow him around as he identified problems, why they were a problem, and an idea of the cost to repair. He even pointed out some repairs by the home owner that were just "patches" and unless they were properly fixed, would come back again with a much higher cost to fix. This is the second property he inspected for us. The first one exposed so many hidden problems that we did not see and were not disclosed to us, we decided to find another house. I am certain he saved me thousands of dollars in future repairs as well as avoiding headaches. I would definitely recommend him! Jon inspected our house and was very thorough. He walked through every aspect of the inspection with use. He was also available on the phone to clear up issues with the house and work through these with the seller and clear up questions that our homeowners insurance company had in order to write a policy. Jon is by far the best Home Inspector that we have used and I would highly recommend him. In addition he is always available to give advice on home repairs. He is honest and a great resource to have. I can't thank you enough for all of your expertise and all of your insights. As you know, buying a new house for the first time is a bit daunting, please know you have helped us immensely in this overwhelming process. Thank you! Thanks so much for your thorough inspection of the Burbank property and your suggestions. It helped me to negotiate with the Bankers for a better deal and to receive help from the sellers. You continued to help even after we moved in to the house that helped us save additional expenditure by fixing things ourselves and your advice helped us hire contractors at reasonable rates. I really appreciate your efforts. It will be my pleasure to recommend you for home inspection services. Just a quick note of appreciation for helping me out with my pool problem. My pool man told me I needed a new pool pump that would cost approximately $700. After you explained my pool equipment functions and directing me to contact another contractor, they determined that a wire had been disengaged, which was easily fixed, and only charged me for the service call... $90.00. Thank you for the advice!! Thanks for recommending Jon Wilhelm from Valley Home Inspection. He was great to work with. He was very thorough and answered all of our questions. I appreciated the fact that he explained every detail in the house and what he thought needed repair. I also respected that he didn't give us any direct referrals, instead asking us to contact him for advice before we get any contracted work done on the house. He was a pleasure to deal with and I'm happy we worked with him. Thanks Jon. Your report is so easy to read, I appreciate that. Thanks for taking so much time to walk through the Los Alimos house with us. I know that I have a lot of work to do but I felt better having an understanding of the scope, and more importantly the critical issues that must be addressed immediately. I will certainly keep your services in mind. I now understand why my broker speaks so highly of you. Just closed escrow on my recent home purchase. The advice I received from you more than paid for the cost of the inspection. I was able to use the findings from the report to negotiate some needed repair that the owner did not even know about. Your expert advice on maintenance and repair items for my home since my first purchase ten years ago has also saved me hundreds if not thousands of dollars. Your common sense approach to solving problems saved my clients tens of thousands of dollars on needless repairs. With signs of moisture on the inside of their house, my clients contacted several contractors for estimates to correct the problem. All of the contractors suggested extensive measures and costly repairs, but not one of them suggested looking at the existing drainage system. With your suggestion to dig and investigate further before hiring the contractor, my clients discovered that a main drainage line in their backyard was broken causing the moisture problems. It was a very simple repair. Having been a Realtor for 31 years I have seen a lot of home inspectors. Jon Wilhelm is most definitely in the top of his field. Jon's experience and eagle eye, his expertise in construction, his keen ability to identify problems is amazing. I just came from a sellers house that is in escrow. The buyer hired a major company to do the home inspection. The seller who used Jon 10 years ago when I sold him his home, starting laughing when he read the report and saw all the misquoted items that the inspector didn't know how to check. This seller hold’s Jon Wilhelm as the standard of inspectors. Jon offers such an education in the process of buying a home, especially for my first time buyers. He is worth every penny of his fee. I highly recommend his services. We wanted to thank you for the information you provided on the improper tub installation during our new condo inspection. We were surprised to find this many defects in a brand new unit. After two letters to the builder, he finally understood that the master tub had to be removed and reinstalled properly. (Actually twice to get it right). The builder is fixing everything on your list including the uneven stairs which were not to code and unsafe. We can't thank you enough for the outstanding job you did. You were highly recommended by our broker Matt and we agree, all of the things you pointed out were very important. The fireplace code violations were a fire hazard and the tub would have certainly caused leak damage and possibly mold damage. Thank you for such a professional job. "When I went into escrow to buy my home in Palos Verdes, I remembered a friend telling me how thorough an inspector had been examining the home he had been selling to Jon Wilhelm’s customer. I determined that if I was getting a recommendation to hire Valley Home Inspection from a SELLER whose home inspection had led to the buyer getting over $50,000 in discounts, I should hire that inspection company as well. Sure enough, Jon Wilhelm's inspection was extraordinary, down to his discovery that improper installation of the marble shower basin in several bathrooms was causing leaks, unknown to the seller. The inspection results saved me close to $80,000 on a nearly new, $8.5 million home. Jon Wilhelm has continued to advise me on regular and unexpected maintenance decisions that have saved me many multiples of what I paid him for the original inspection. My advice to anyone who is selecting a home inspector is simple: do NOT cut corners by trying to save money on any inspector besides Jon Wilhelm. His fee is a tiny percentage of your home purchase price and going with a cheap inspector instead of an experienced one, will prove to be penny wise and many pounds foolish." inspection helps protect all parties.